Gently form ground turkey into four patties. Sprinkle both sides of burger patties liberally with salt, pepper and poultry seasoning. Grill burgers 5–6 minutes per side. 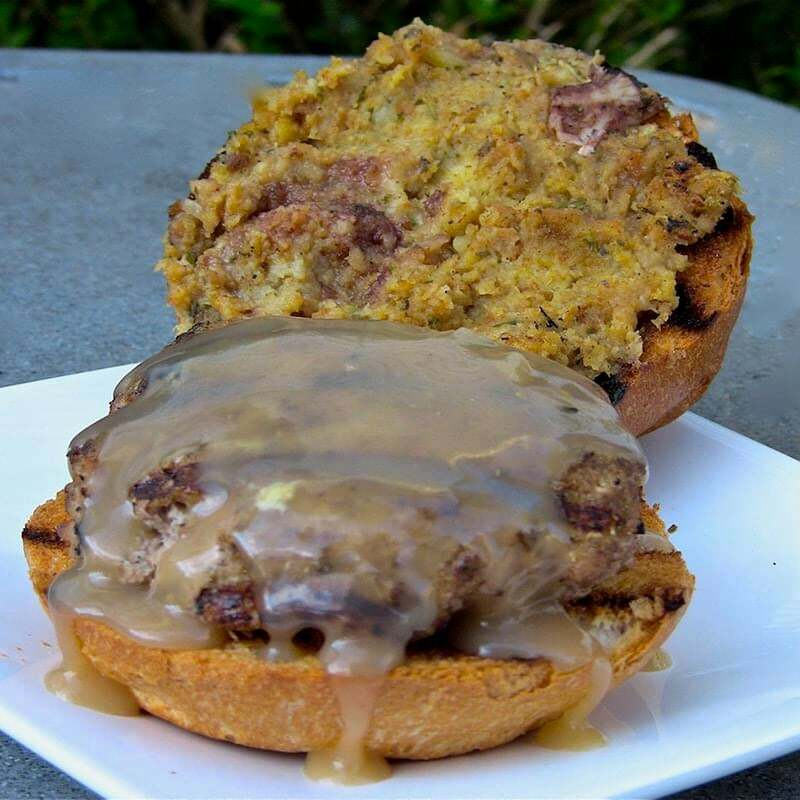 Place one tablespoon of cranberry sauce on each bottom bun and spread two tablespoons stuffing on each top bun. Place burgers over the cranberry sauce, drizzle burgers with gravy and add the top bun. Serve immediately.